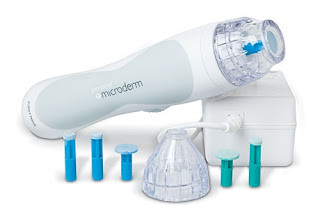 When SkinCareRx contacted me to see if perhaps I would be interested in reviewing a home microdermabrasion kit, I didn't have to think twice. Uh...HELLS YEAH! My 37-year old sun-damaged, crow's footed, freckled face was primed and ready to see what the Personal Microderm System could do (or not do) for me.